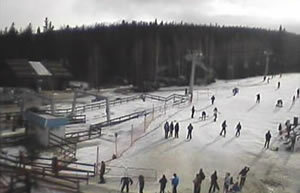 Click on this webcam to view a real time, constantly updated view of Zakopane. The actual view is of Kasprowy Wierch seen from the opposite side of the valley from Mount Gubalowka. If you want to know what the current snow conditions are like in Zakopane, Poland this is the easiest way to find out!